Today’s post is about an inspirational quote that is often misattributed to Thomas Edison. Follow along to learn who really wrote it as well as who is spreading this false information. The overwhelming majority of attributions are to Thomas Edison. I found only a couple of attributions for the other two people. Also, half of the websites featuring this misquote do not include the second sentence. The ones that do include it usually separate it as another individual quote. 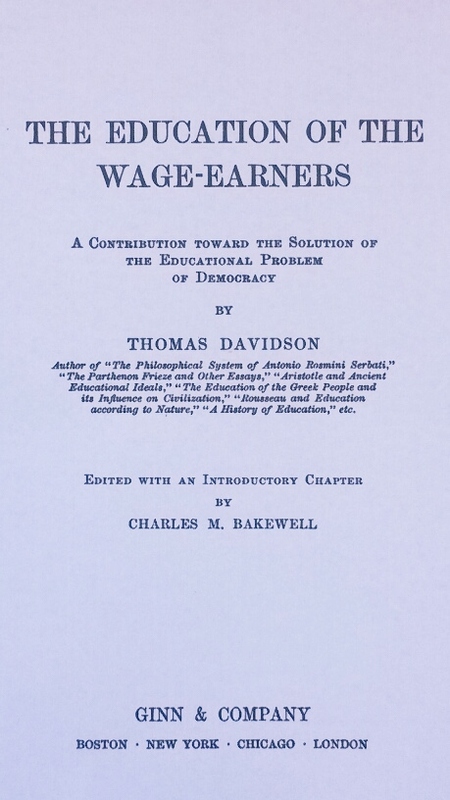 Here is the quote found in The Education of the Wage-Earners by Thomas Davidson published posthumously in 1904 and edited by Charles M. Bakewell. After surveying 110 websites featuring today’s misquote, I found the following trends. The above statistics show that websites with the sole purpose of providing quotes are the largest group propagating today’s misquote. If we combine them (35%) with the websites that provide quotes as a major part of their functionality (4%), we find that 39 percent of the websites perpetuating this misinformation are major quote repositories. As we’ve seen so many times with my previous posts, this is the norm. Unfortunately, the number of quote websites is growing exponentially. I find new ones rearing their ugly heads each time I research a quote. I’ve also noticed these sites are duplicates of each other and often feature the same misquotes AND typos. This continual spread of misquotes is what I call a quote virus. The problem is many educators and authors use these websites as a resource for quotes and subsequently teach and/or publish this false information. The end result is infection of educational institutions and modern literature. In short, quote websites are breeding grounds for the quote virus and should be avoided at all costs. The above statistics also show that informational websites are another major contributor to the proliferation of today’s misquote. For example, during my research I came across a website called The Fact File which purports to provide facts on various topics. One of the “facts” featured on this website is today’s misquote. . . Strike one. Out of curiosity, I looked at the list of Leonardo da Vinci “facts” and found the misquote I wrote about in my 11/30/15 post No, Leonardo da Vinci did not write that. . . Strike two. I also checked the Abraham Lincoln “facts,” and sure enough the misquote I wrote about in my 01/31/16 post No, that is not what Abraham Lincoln said is listed. Strike three! The bottom line is don’t believe everything you read on the internet, even if the site presents itself as an authority on a particular topic. During my research, I found 10 books featuring today’s misquote, and three of them are quote books. In fact, one of them is a book strictly about Thomas Edison quotes and facts. The one thing all of them have in common is the quote is cited with a name attribution only. This is an indication that it was probably not fact-checked. If there is no accompanying source information that is verifiable, the quote is not trustworthy. My first guess as to how this misattribution was formed is confusion created by the similarity of the names, Thomas Edison and Thomas Davidson. My second guess is the close proximity these two names would have with each other in an alphabetized list. 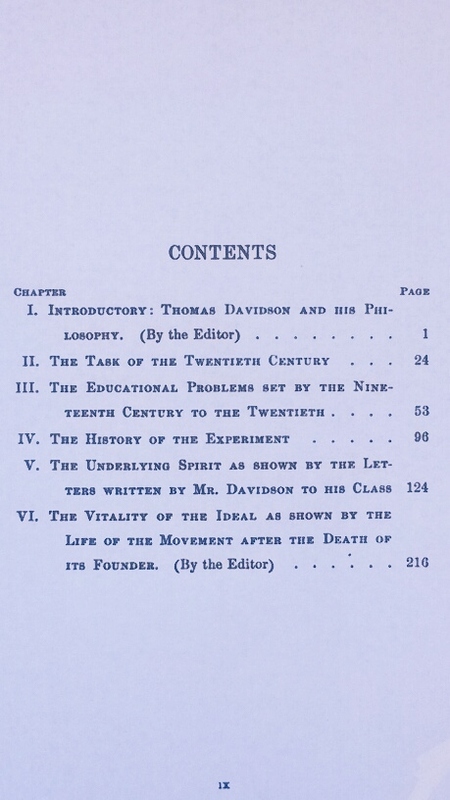 One possible scenario is a quote website administrator was copying quotes from an alphabetized list in which Thomas Davidson occurred just prior to Thomas Edison, and when the list transitioned from Davidson to Edison, the transcriptionist made an error and did not double check to ensure the quote entered corresponded with the correct person. Subsequently, others came along and transmitted this misinformation to others who transmitted it to others ad infinitum. I have encountered this alphabetical pattern on quote websites many times. My 03/31/15 post Edith Wharton vs. Edgar Watson Howe vs. Elbert Hubbard and my 07/17/14 post Kennedy Morphs into Keats: Another Reason to Get Your Inspirational Quotes from a Reliable Source are two more examples of this phenomenon. I came across a newsletter dated May 28, 2015 which features our Thomas Edison misquote on the front page. The amusing part is the newsletter is for the Thomas Edison Energysmart Charter School. Once again, we see an informational resource that is reporting false information. This demonstrates how pervasive the quote virus is and reinforces the message that you cannot believe everything you read on the internet. My research also brought me to a Virginia community newspaper website that featured an article about the 2015 commencement exercises at a local high school. 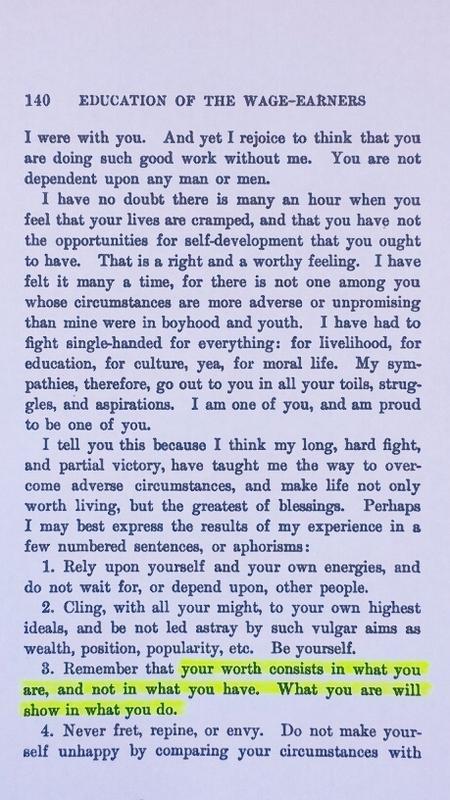 In her speech to the graduating class, the principal used Edison’s misquote. The irony is the name of the school is Thomas A. Edison High School. Unfortunately, when the source of information is an educator, the perception of credibility is high. In this case, the educator is from a school named after Edison so the perception of credibility for this quote is even higher. This is why I am always disappointed when misquotes infect our educational institutions. The possibility of the false information propagating increases dramatically. The only way to exterminate the quote virus is through education. You can help by sharing the knowledge. Forward this post to friends and family, and if you’re on Facebook, “like” my Facebook fan page. If you’re on Twitter, you can follow me @SueBrewton. ← No, Leonardo da Vinci did not write that either.